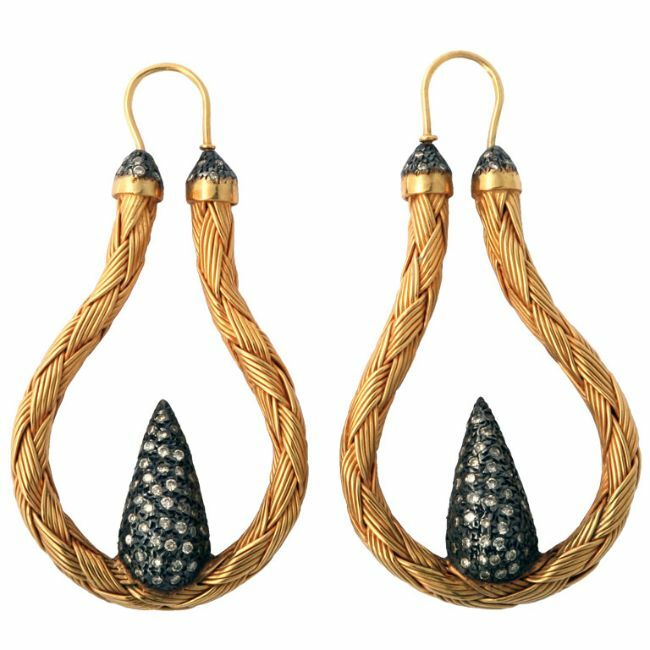 A pair of braided 18kt yellow gold, sterling silver and diamond earrings. The earrings have a rhodium plated sterling silver and pave diamond flower bulb at the base of each earring and rhodium plated sterling silver and diamond caps on top. Materials/Techniques: 18kt yellow gold, sterling silver and diamonds.